20+ Years Experience! (Our Own Crews! 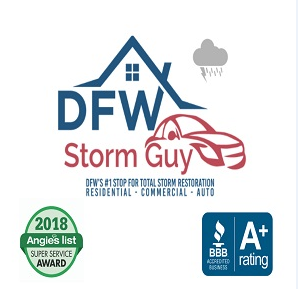 ), BBB A+, Angie's List Super Service Award, Licensed & Accredited, Roofing Contractors Association of Texas, Insurance Claim Experts and Insured. Our goal is to help restore your entire property to pre-storm conditions, not just your roof! With little or no money out of pocket! We are Experts working with your insurance company ensuring you get the coverage you need!